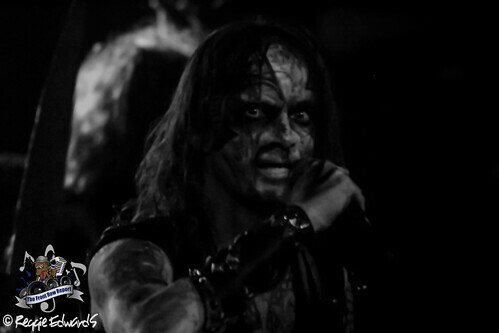 Watain is a band you hear a lot about and just have to see to really appreciate and believe. So when they announced a show at Indianapolis’ Emerson Theater, it’s no surprise the venue was packed pretty full. For one, the band’s fanbase is one of the most dedicated, but when you throw in the stories of blood, severed animal heads and candles adorning the stage, your attention is definitely peaked. The crowd was a fine mix of bikers, punk rockers, goths and regular metalheads and they were all ready for a night of extreme metal that didn’t disappoint. It didn’t take long before the stage was filled with tridents, candles and bones draped across metal fences. 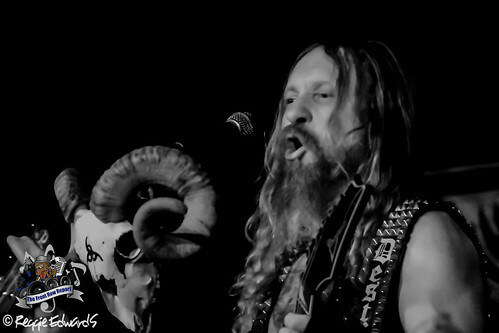 As the stage was filled with fog, the candles were lit and the members of Watain slowly and ominously took the stage, setting the stage for more than just a metal show- the table was set for a ritual and a ceremony and everyone in attendance was welcome. The lighting at the Emerson is notorious for being rough and this night was no exception, making it hard to see the band from time to time but it also added to the experience too. Early into the evening, frontman Erik Danielsson brought out a giant skull full of blood and the crowd went absolutely insane, bringing a sinister smile to his face. Throughout the 12-song set, the band made sure the crowd was part of every aspect of the show, welcoming them as family and setting a completely unique and haunting atmosphere. In the end, this show was everything you could possibly hope it would be going in. 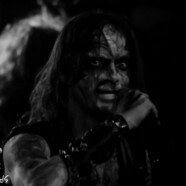 Watain are more than a band- they operate at such a perfect level and they make sure their live show is more than that- it’s an experience you have to get at least once and a service you will be drawn to attend more than once.